I’m not saying buying survival foods is bad, that’s for sure. I firmly believe freeze-dried and canned survival food along with other kinds of food storage are critical for crisis survival. But I also think there’s merit in using natural foods you can find in nature for sustenance. If not using them at least knowing what they are! That’s because in a real apocalyptic crisis lasting years it might be the case you’ll have to depend on these kinds of foods to survive. Food storage only lasts so long. Turns out acorns are one of the best survival foods out there. It’s just that no one seems to know how healthy they are. Acorns are plentiful in the U.S., highly nutritious, and easy to turn into food. Take a look at how you can use acorns to stay alive in a crisis. 1 – They’re easy to find: Acorns are all over the United States except for the desert. These nuts come from wide variety of oak tree types and in the fall and winter they’re quite easy to harvest. To collect acorns you can either wait for them to fall and gather them as they hit the ground. Or you can climb the tree and shake them loose. 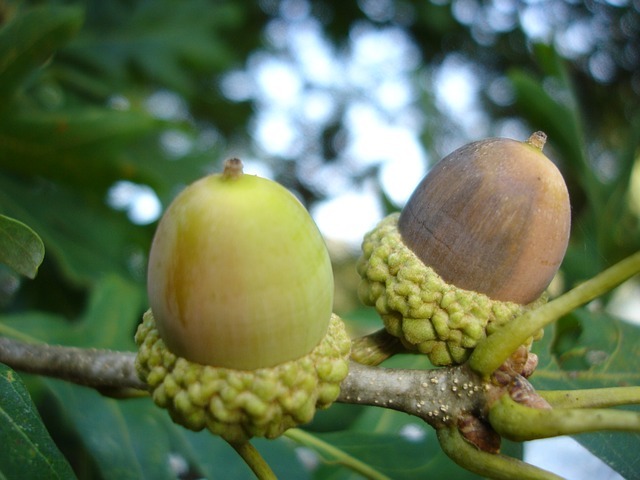 Most acorns come from mature and sturdy oaks so you won’t be able to release them by shaking the trunk, you’ll need to go into the bough of the tree and shake them loose from their nutty moorings. It should go without saying but be sure to exercise caution when doing this. 2 – They’re easy to prepare: While the process of eating acorns isn’t as simple as picking them and then popping them into your mouth it’s still a relatively simple process. To eat acorns you’ll want to first release the acorn from it’s hard shell. 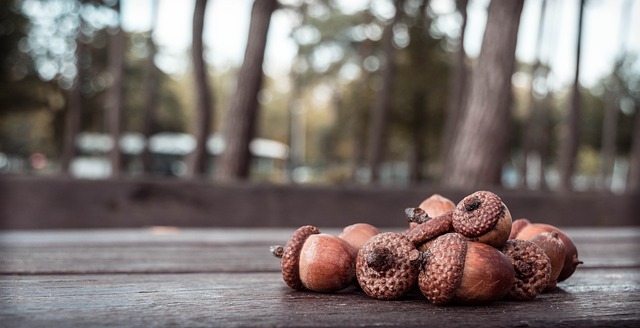 This can be done by placing the acorn (or acorns) on a flat surface and then rolling or smashing them with another hard, flat surface to release the “nut” or “meat” on the inside. Once you’ve got the nut/meat it’s time to soak the acorn. They’re not able to be eaten raw because they’re quite high in tannins which will cause nausea and upset stomach. Create a bath of warm water and keep them soaking for 4-8 hours. Once you’ve soaked them pour the water off. Taste them and if they’re still too bitter you’ll want to repeat the process. If you don’t have a basin to soak them in you can also put them in a sock, a net, or pillow case and then place them in a river or a creek for a few days and let the water washing over the nuts strip them of the bitter tannins. 3 – They’re useful for a lot of recipes: Our friends at Outdoor Life provided several examples of multiple recipes you can employee acorns in. One of the easiest ways to cook acorns is to roast them. Place the damp nut chunks on a baking sheet and sprinkle with fine salt. Toast them for 15-20 minutes at 375 degrees in a pre-heated oven, or roll them around in a dry frying pan over the camp fire. You can tell they’re done when the color has changed a little, and the nut pieces smell like roasted nuts. Eat them out of hand just like peanuts. For those with a sweet tooth, follow your favorite peanut brittle recipe, and substitute acorns for the peanuts. Use the same volume of acorns that the recipe asks for in peanuts, or add a few more acorns to make this snack a little more nutritious. Once the brittle is cooled, break it into pieces and enjoy. Dry your leached acorns a little bit. When they are halfway between wet and soft, and dry and rock-hard, run them through a blender, food processor, grain mill, or grind between two rocks. Dry the resulting acorn meal in a low temp oven for a few minutes, or air dry for a few hours. Then grind it again. This acorn flour can be used to bake breads or almost any other baked good. If you’re expecting soft spongy bread, blend in some wheat flour for its gluten. If you don’t mind the acorn’s natural crumbly texture, use the acorn flour as-is. The butter will cooperate better if it softens up to room temperature before mixing, so set the butter out first. Mix the flour, salt and baking soda in a small bowl, and set it aside. Mix the softened butter and peanut butter in a large bowl. Add the vanilla and both sugars to the butter mixture, and mix it well. Add the eggs and mix again. Stir the flour mixture into the butter mixture until smooth. Roll the dough into balls and pat out onto an ungreased baking pan. Bake at 375 degrees for 10 minutes or until lightly brown. Makes 4 to 5 dozen cookies. As you might have guessed not all acorns are going to be good to eat. Especially if they’re unripe or have been infected by fungus or eaten by worms. When selecting acorns to eat you’ll want to ensure the shell isn’t green, isn’t a mottled black, and doesn’t have any holes or cracks in it. These are signs the acorn isn’t ripe, has mold or fungus, and/or might have worms. Once you’ve cracked the acorn open observe the meat. Are there any holes in it? This signifies the presence of a worm. Is it any color other than a golden beige? If it is then this might indicate your nut has been hit with fungus. Following those steps ensures you’ve got a viable kernel you can use for food. Like I said before, more than anything I think it’s useful to know what other food options are out there. If you want to have a more reliable, better tasting and easier to prepare survival food I recommend food storage. 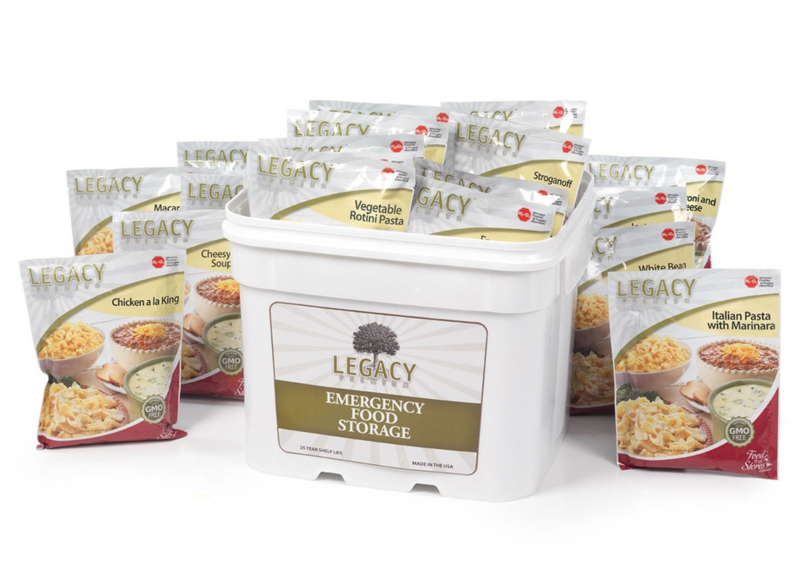 Our most popular and best selling food storage provides you with more than enough food to survive a short term crisis. Check it out as well as the rest of what we offer by clicking here or on the picture below. This entry was posted in Outdoor Survival, SHTF, Survival Skills, Uncategorized and tagged acorns, best survival foods, food, survival foods on November 11, 2015 by Survival Frog.